Room decorated in a modern and cosy style. Equipped with heating; air conditioning; FREE WIFI; flat screen TV; en-suite bathroom equipped with shower with thermostatic regulator and rain effect; sink and toilet; hair dryer; wooden flooring throughout; armchair; luggage rack and doorless wardrobes. Some rooms have two balconies overlooking the main pedestrian street. 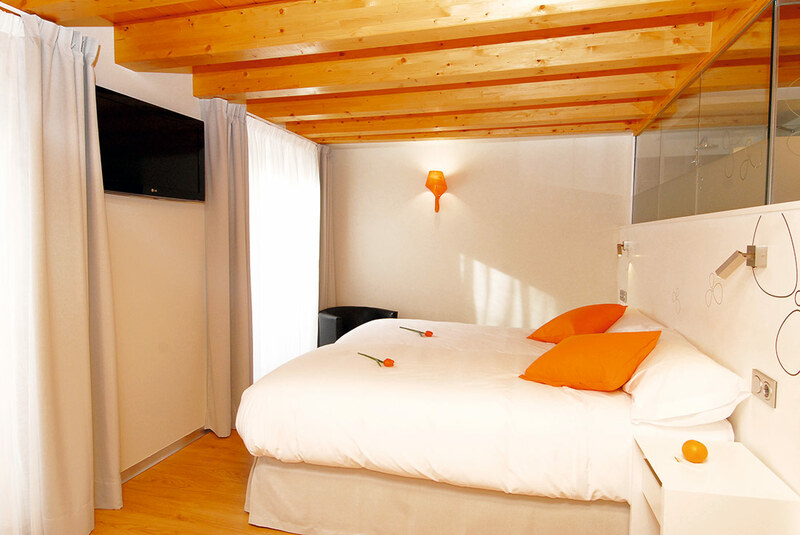 Available with one double and one single bed or three single beds.